This budget-friendly, easy to fit green roof adds a stunning view during the Spring and Summer. 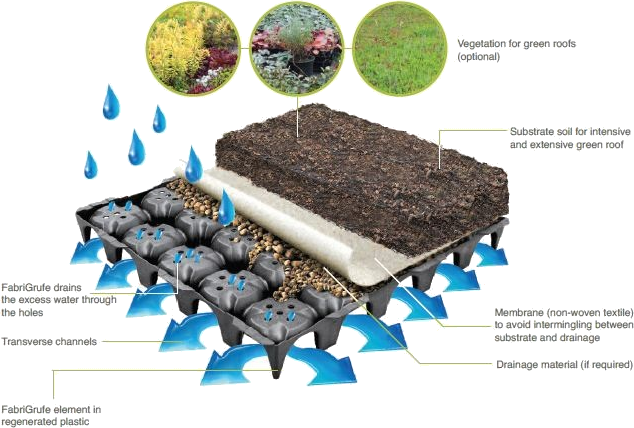 Your GrufeKit living roof is filled with instensive substrate and flowers and sedum. It consists of a mix of 20-30 varieties of wildflowers and meadow grasses, which will add colour in Spring and Summer, and 8-12 varieties of sedum that provide an evergreen finish. Perfect for any roof garden! 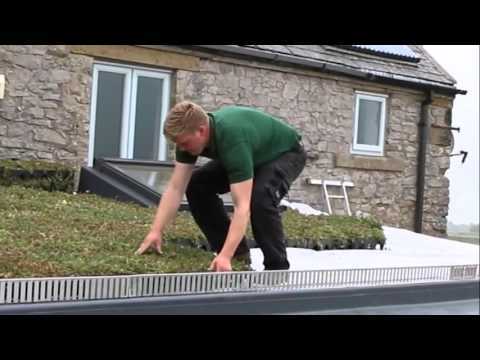 Pre-grown GrufeTiles are incredibly easy to install and offer a low maintenance green roof solution while giving you beautiful wildflowers in the warmer months and attractive sedum in the winter. The wildflowers and meadow grasses will burst into colour in the spring and summer and die back in autumn and winter. But, unlike a brown wildflower roof, the sedums will continue to grow all year keeping the roof green and visually attractive even in the colder months. Sedum & wildflower pre-grown GrufeTiles are easy to maintain, and combined with seasonal changes they are the ultimate bio-diverse roof. We can deliver the GrufeKit Sedum & Wildflower Modular Roof Tile - 1m² (approx. 4 tiles) next day on our own vehicles, enter your postcode to see if you are in our servicable area.